Shot over several years on film and HD, "Obstruction" is about eclipses, when one stellar object obstructs another. 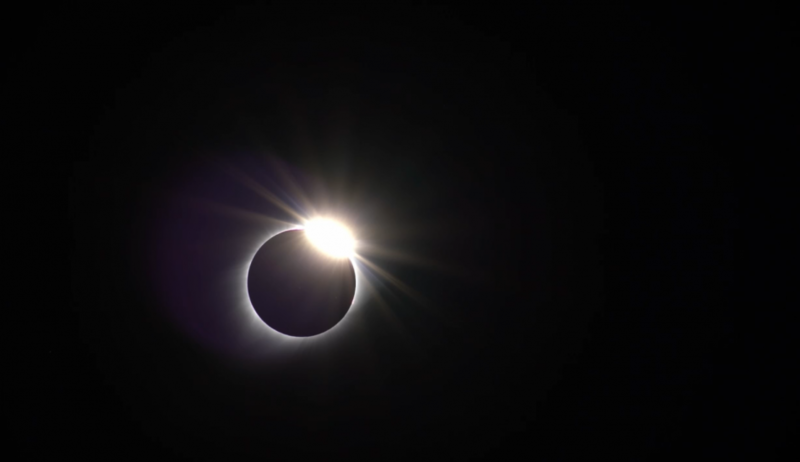 You will see stunning lunar eclipses, the obstruction of the Moon by Earth's shadow, and solar eclipses, the obstruction of the Sun by the Moon, including pristine footage of the 8/21/18 solar eclipse. An eclipse is a (relatively) rare event, a break in celestial routine, which is why they fascinate and — historically — frighten us. Eclipses remind us, in a striking, purely visual way we can't ignore, that even something as basic as the sun shining in the middle of the day can get ... tweaked.